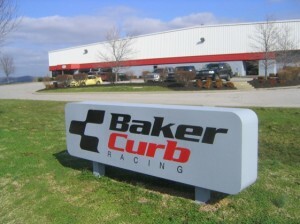 Nashville – Baker Curb Racing, a veteran Nationwide Series team, has suspended operations indefinitely due to lack of funding RacinToday.com has learned. Team co-owner Gary Baker said the team has not officially folded. He said it will re-open its doors if and when a sponsor is found. However, with the season less than a month away and no driver or personnel on board, Baker admitted the outlook is dismal. “As it stands right now, we won’t be racing,” he said. 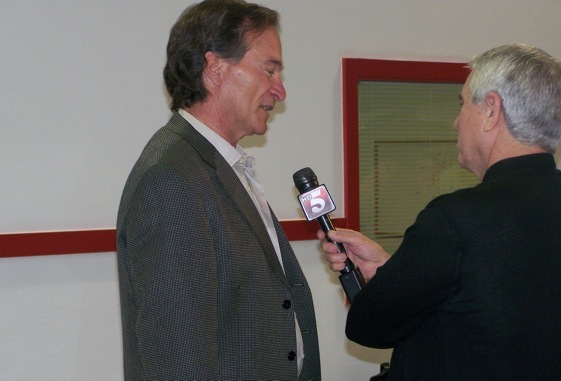 Baker co-owns the team with music mogul Mike Curb. It was known as Brewco Motorsports when they bought it and moved it from Kentucky to Nashville. During its past three seasons as Baker Curb Racing the team posted no wins but made some strong runs. It came close to victory in a couple of races last year with Greg Biffle at the wheel. Baker noted that his team is not the only one struggling with lack of sponsorships; even powerful Sprint Cup teams are feeling the crunch. Roger Penske was forced to park the car of former Indy champ Sam Hornish Jr. due to lack of funding, and Jack Roush likewise has made deep cuts going into the season. “When people like Roger Penske and Jack Roush start feeling the pinch, you know it’s bad,” Baker said. Baker, a graduate of the Vanderbilt School of Law and attorney for such country music celebrities as the late Johnny Cash and Waylon Jennings, has always been immersed in racing. At one time he owned and operated Bristol Motor Speedway – annually voted the fans’ favorite track – along with Fairgrounds Speedway during the track’s glory years. There is speculation that Baker might be interested in acquiring Nashville Superspeedway in Gladeville should Dover Motorsports decide to divest itself of the facility. “I’ve got too much on my plate to consider anything else right now,” he said. “My total focus is on our race team.